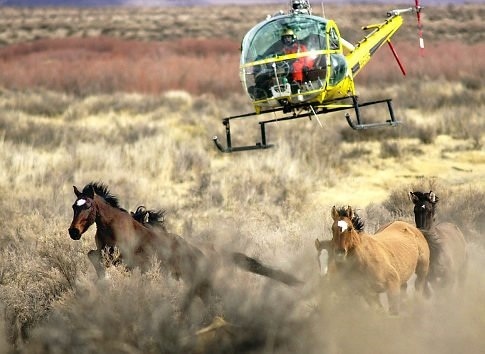 “We need more eyes on roundups to protect mustangs,” says Novak. This entry was posted in Uncategorized and tagged abuse, animal, cruelty, foal, horses, Mustang, wild by Protect Mustangs. Bookmark the permalink. Gather report states 2 foals died on that day. I wonder if one was the foal in question?